David and Jody Campbell have been raising and selling winning show cattle from their Campbellco headquarters near Cedarville, Ohio since the late 1980’s. With the assistance of their adult children, Blake “Opie” and Kayla, the Campbells now manage more than 250 cattle at any given time and their impressive facility is coveted by all show cattle producers that have taken a tour. The Campbellco herd has been the source of a number of state fair champions in both the breeding and market divisions over the years and their list of county and jackpot winners is one of the longest in the business. Their diverse and well-kept facility comes in handy as the Campbells use it to prepare calves for their annual “Derby Day” event held the first Saturday in May, bred sale females for themselves and their customers, and their clipping and fitting areas are nearly always in use as their customers prepare for another show. 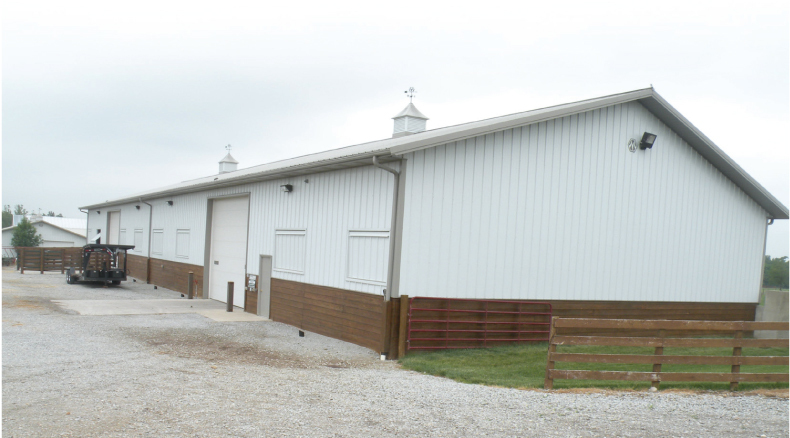 As an added service, Campbellco also stores and sells show feed so additional warehousing and load-out areas have been added to accommodate for increased traffic and space requirements. The calving barn is equipped with an insulated roof and infrared heaters. 9 security cameras with night vision are installed throughout the barns. Each camera has WI-FI so the Campbellco team can access it from their phones and tablets. This comes in handy during the winter months for calving checks. 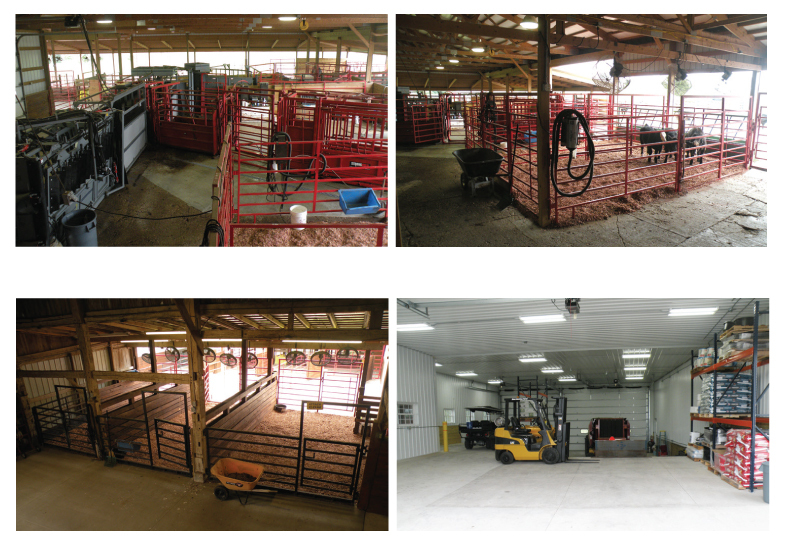 There are 6 different staging areas for calving. The cows are rotated through the pens depending on their needs. The wash rack is located in the cooler room. Silencer Working Chute and Turret Gate is equipped with remote capabilities and hydraulics. Pictured above are double chutes with drains for working sale cows, breeding, and flushing. Loose pens for breaking and working sale calves. Additional loose pens. Loading dock and feed storage. Hay storage and dry lot feeding barn.